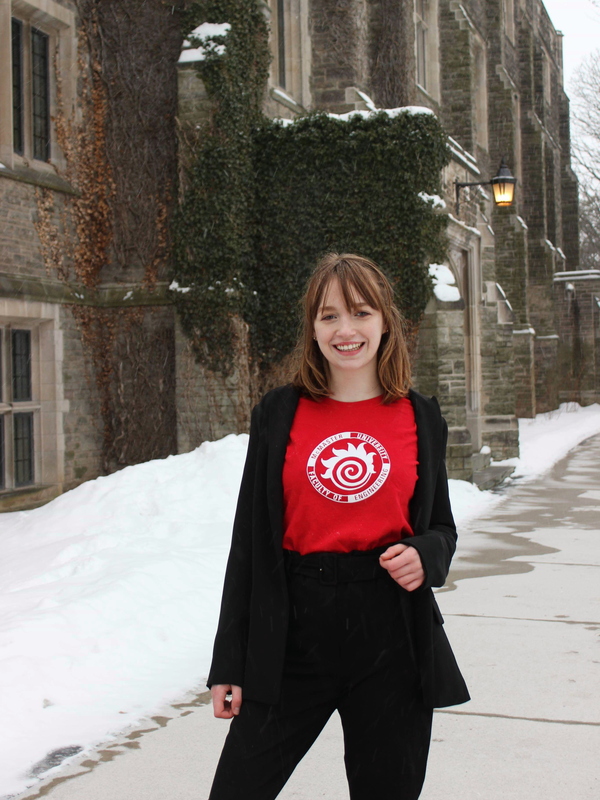 The McMaster Engineering Society (MES) is currently hosting the general elections for the 2019-2020 council. The MES council represents all of the undergraduate engineering students at McMaster. On this page you can find all of the candidates and their platforms for the year. Voting will be through McMaster email Saturday March 9th at 8am until Monday March 11th at 12pm. 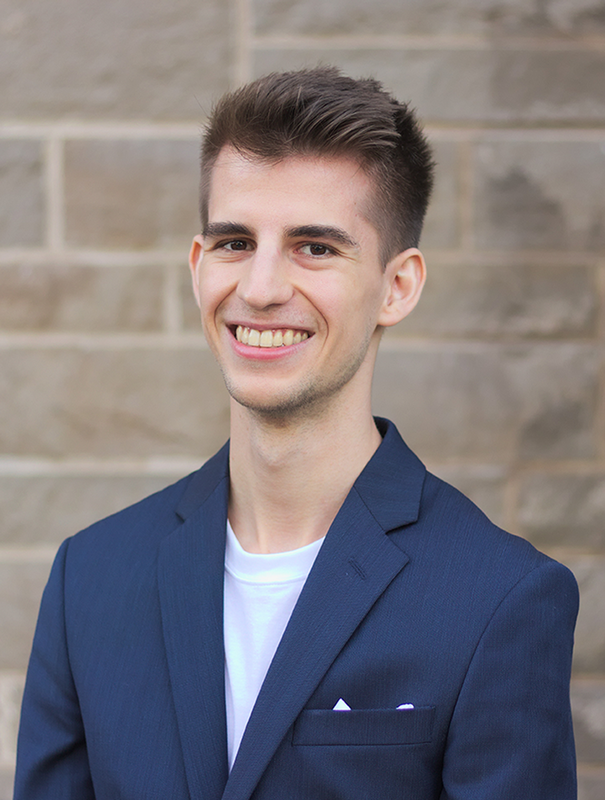 Hi there, my name is Ian Currie, I am running to be your Vice President of Finance & Administration with the McMaster Engineering Society for the upcoming year. Should I be elected, my first priority will be handling the changes to the MES budget caused by the recent announcement from the provincial government making student groups’ fees an optional expense for students. It is unclear exactly how this will affect the finances of the MES, but we can expect to be a large change to the budget. I plan on handling this change through implementing a three-tiered budget system for the MES; by introducing a subjective form into the MES budget proposal form; and through using transparent, firm communication with the MES clubs and teams. This year will inevitably be a difficult for the MES and its affiliated groups; however, I want to work to get everyone through with as few scars as possible. Past handling the budget, I have additional goals for improving the MES. 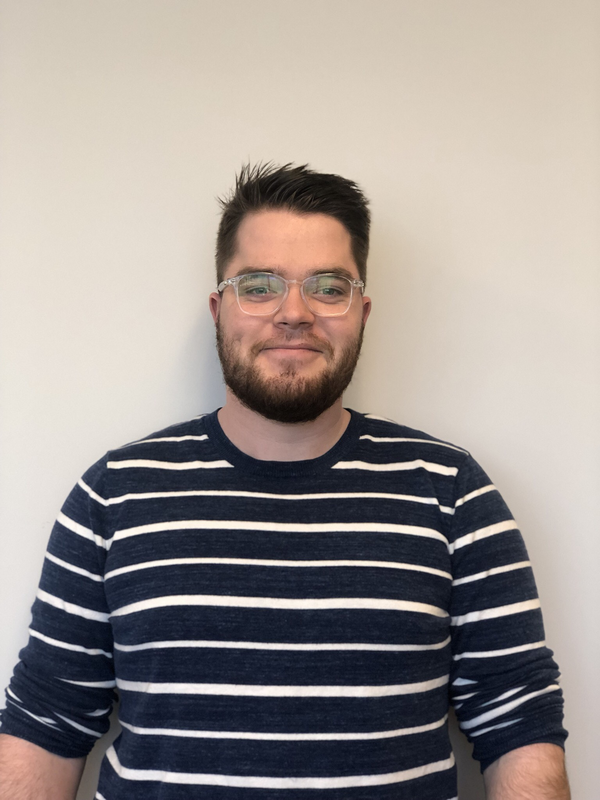 Over the past year as VP Academic with the MES, I developed the role of Data Coordinator, and in the upcoming year I want to further integrate the information collected by this role into the decision-making process of the MES. In addition, the MES website was completely overhauled last year, and I expect to work with the IT Coordinator to continue improvements on the MES website. 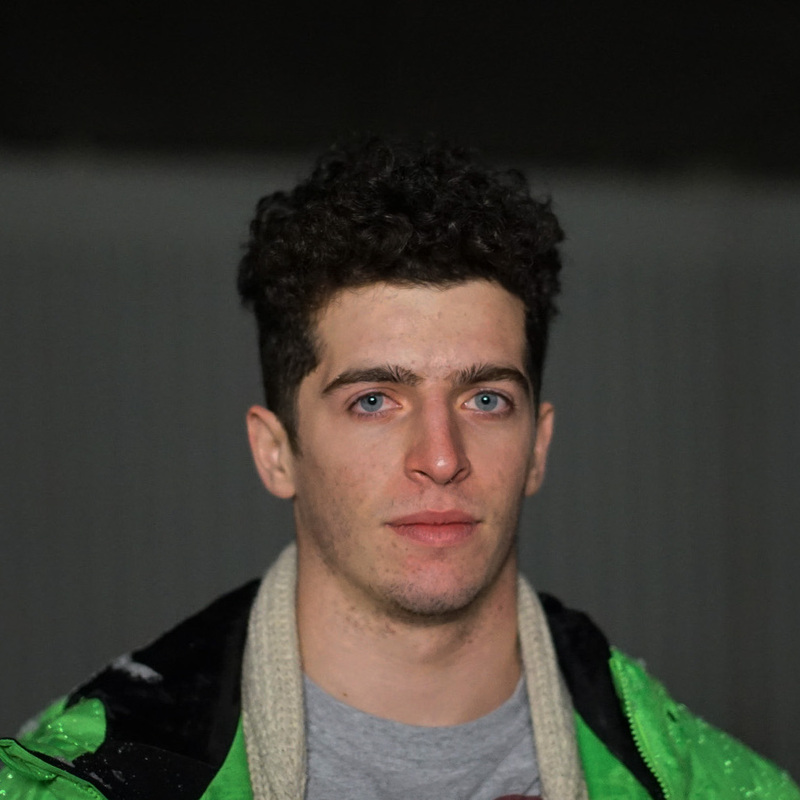 If you want more information about my campaign, you can check out my website at https://iancurrie08.wixsite.com/currie2019. Hi! 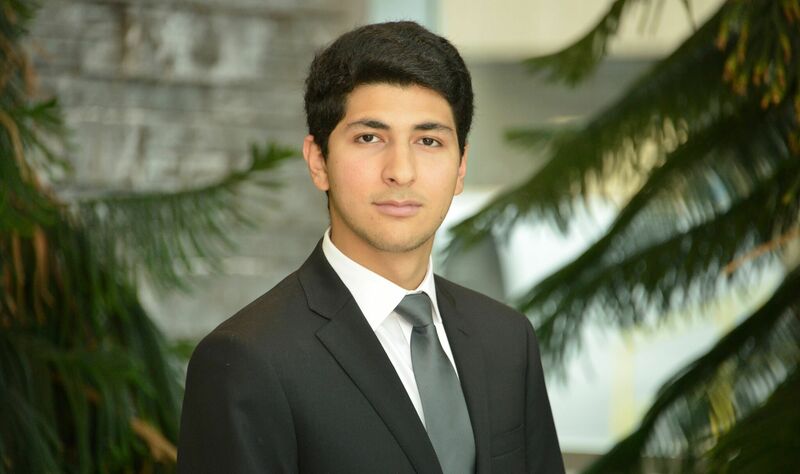 My name is Mohammad Abdulhussain and I am running to be your next McMaster Engineering Society Vice President Finance and Administration. I am in my second year of Automation Engineering, and this is currently my third year at McMaster University. 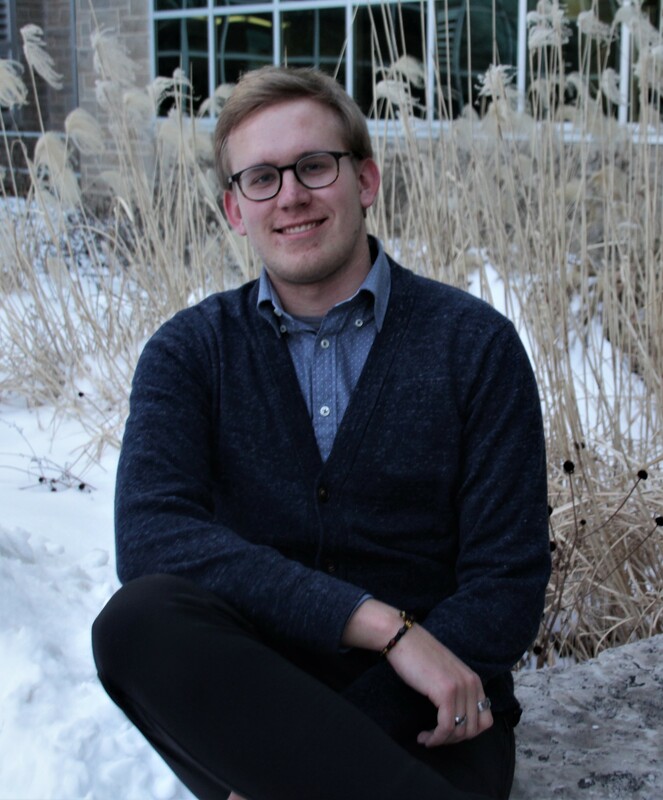 Throughout my time in McMaster, I’ve thoroughly enjoyed being actively part of our community within McMaster, and took advantage of the many services that MES has to offer, which is why I would like to be your next Vice President Finance and Administration is where I can give something back to the MES. This includes allowing the MES to grow as an organization, and better assist students, by communicating more transparently with it’s students. This past year, I had the pleasure of being part of Engineers Without Borders as their Vice President Administration and Internal, and in the past year, I was involved with Engineers Without Borders as their VP Social and Marketing. Through my experience being involved within the organization, I’ve worked with multiple stakeholders from the University, which includes the MES in order to get a better understanding of the MES’s needs. After consultation with the stakeholders within the MES, ECCS, and MSU, I have a better understanding of how I would like for the MES to grow as an organization to better services the students. To learn more about what I plan to do, please visit my facebook event! If you have any questions, thoughts or concerns please contact me at abdulhum@mcmaster.ca. Hello MacEng! My name is Alex Moica and I am running to be your next VP Academic, your representative to the faculty for any educational and academic issues you might have. I believe academic well-being extends beyond just the credits needed for your degree, encompassing extracurriculars as well, and leading to my platform point of The Well Rounded Engineer. I will focus on fostering engagement in clubs, teams, and societies among first years and continue working alongside professors and the ECCS office to encourage and engage students of all years. Impactful Feedback will be another focus of my term, providing more direct ways to communicate feedback about your midterms, exams, and courses in general. My goal is to streamline the feedback process and work directly with your professors to incorporate the results of your concerns into your courses as soon as possible. The remainder of my platform falls under the umbrella of Quality of Life; consisting of small improvements to your academic experience at MacEng such as improvements regarding exam spacing and increased advertisement of academic services. I have many ideas to contribute and explore, and with your help, we can make our dreams a reality! Hi everyone! My name is Patrick Hehl and I am running to be your next MES Vice President (Academic). I am running on a platform of communication, support and complete education. I plan to assemble a monthly meeting of VP Academics of the societies across campus, and to publish the minutes of this meeting. This is a part of my intention to maximize communication and transparency about academic issues across the school and not just in relation to engineering, as creating a united group will give more weight to changes we may wish to make. 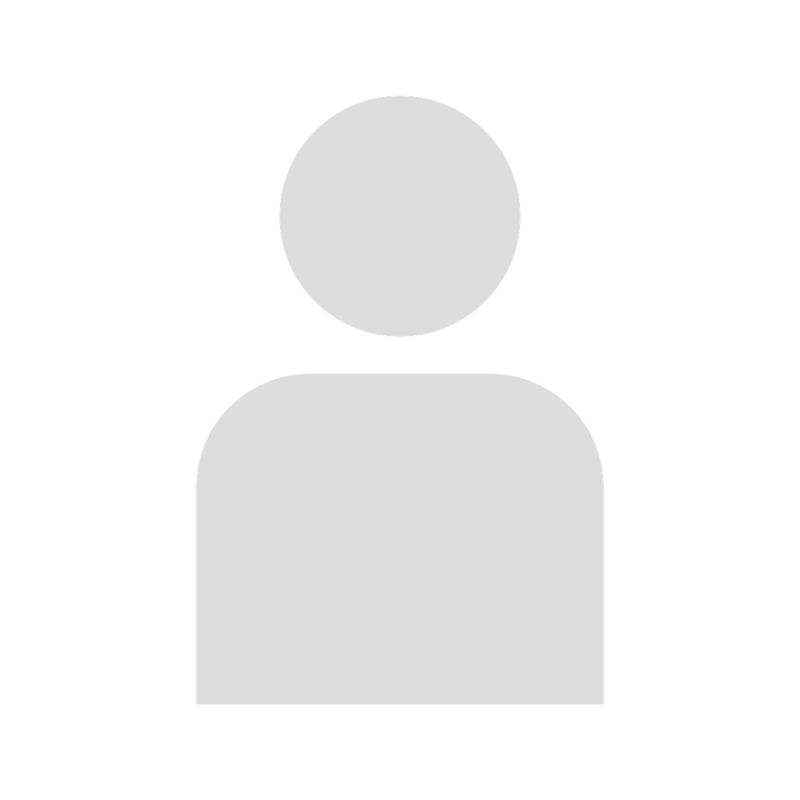 I plan to make public as much information as I am allowed to under applicable policies with relation to any academic affairs/discussion/decisions that apply to engineering students. I wish to develop a mentorship program that involves bringing together upper year students with new students in the Society, as well as information/Q&A sessions from Faculty and industry members about their experience/advice with regards to maximizing educational experience and workshops about improving academic efficiency (e.g. time management, organization). I would like to increase focus on developing well rounded students that are verbally intelligent, adaptable and well-rounded. My focus will be on promoting extra curriculars, emphasis on the importance of reading/writing, and interdisciplinary collaboration. Since I am not on campus for school this year please feel free to reach out to me on Facebook, or by e-mail (hehlp@mcmaster.ca) if you have questions for me. Hi everyone! 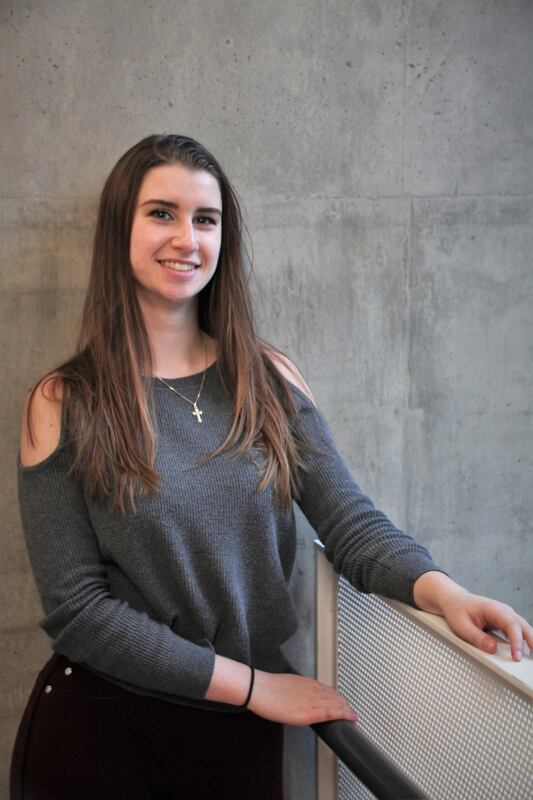 My name is Roberta Boreham and I am currently in my third year of Electrical and Biomedical Engineering. 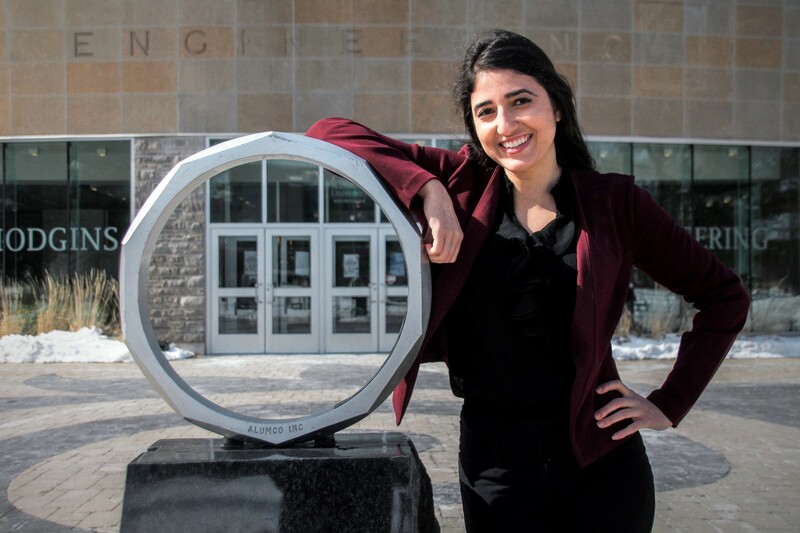 My platform centers around enhancing communication between the MES and its members, as well as strengthening the image of the MES within the McMaster community and the Engineering community at large. 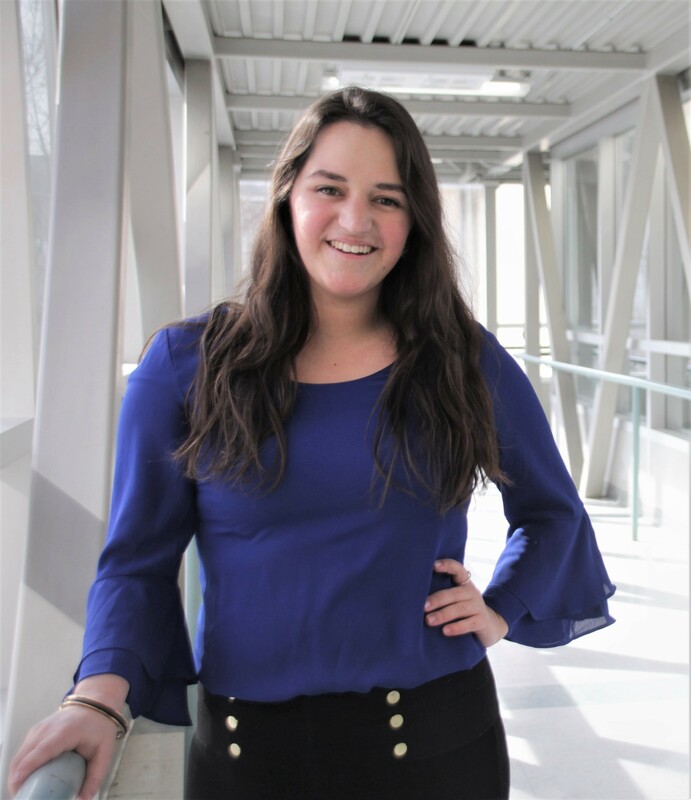 As your VP Communications, I would build on the skills that I have learned through being the Electrical and Computer Engineering Society VP Communications to ensure all students of the MES are well informed of MES events and services. In summary, I would like to create a cohesive and recognizable brand for the MES and develop an easy to follow marketing plan for event coordinators. I would like to better utilize the MES website for event advertisement campaigns, student experience showcasing, and conference and competition promotion. Furthermore, I would like to create a master calendar of all MES and MES Clubs and Teams events so that students may easily access event information and coordinators may reduce scheduling conflicts. Finally, I would like to investigate into and introduce opt-in SMS reminders as another avenue of event promotion. For more details on my platform, I encourage you to visit my website or Facebook page. If you have any questions, comments, or concerns, feel free to contact me, I’d love to hear your thoughts! Hi all! I’m Gabriel Castagner, I’m going into my final year of Software and Game Design, and I’m running to be your first VP Communications. I’ll strive to keep you and the incoming class of 2021 up to date and in the know about everything MES related by promoting the MES and it’s affiliates effectively across the multitude of MES Social Media platforms. Here’s what I hope to accomplish in the coming year: Pilot a MES Mobile App to help acknowledge MES is affiliated clubs, groups and events and to keep users updated about their favorite clubs and teams. Mobile will combine the vast knowledge of content from the MES website and provide alerts and push notifications about clubs/teams/events that you can favorite. Manage and develop schedules for event posts for the MES’s social media platforms such as Email, Facebook, MES Blog, Twitter, Instagram and create a plan to bring them to new platforms such as reddit. Scheduling posts will allow users to send social media posts well in advance of their event and will allow user’s can track information being sent out. Introduce an FAQ section on the Website and promote Q&A services on Facebook and email. Finally introduce a master calendar to the MES Website that clubs can submit their events while being dynamic enough to be updated in the future. If you have any questions about my platform, please feel free to message me on Facebook or email me at castaggj@mcmaster.ca Stay Spicy! Hi there! 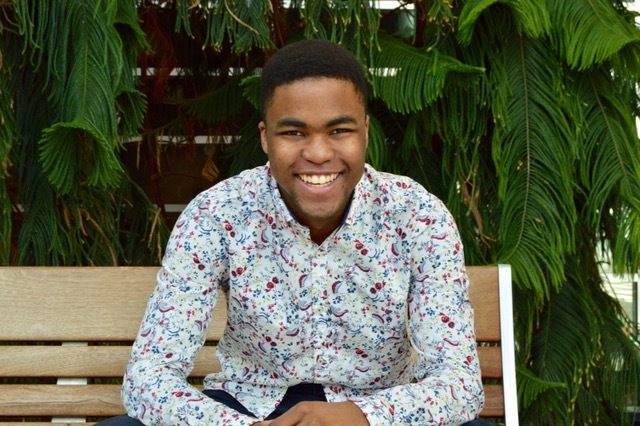 For those of you who don’t know me, my name is Linford Rodrigues, and I’d like to be your next VP Student Life! I’m going into my sixth year of Electrical Engineering and Society. In my time at McMaster, I’ve been heavily involved in a number of opportunities hosted by the MES, including Culture Committee, the Drain, and the Mac Eng Musical. The VP Student Life is responsible for handling student affairs outside of the classroom, focuses primarily on continued student involvement through the various clubs and teams affiliated with the MES, and works to develop events within the community. If elected, I plan on focusing my efforts to better coordinate the events hosted by our numerous clubs and teams, so that we are able to reach a broader group of students. Additionally, I plan on working with the newly created VP Communications to improve the MES’ approach to advertising. Thank you for taking the time, to looking through mine and others’ platforms. If you have any questions or comments, please email me at rodril3@mcmaster.ca, message me on Facebook, or simply ask me in person. My name is Lizzy and I’m running to be your next VP Student Life. 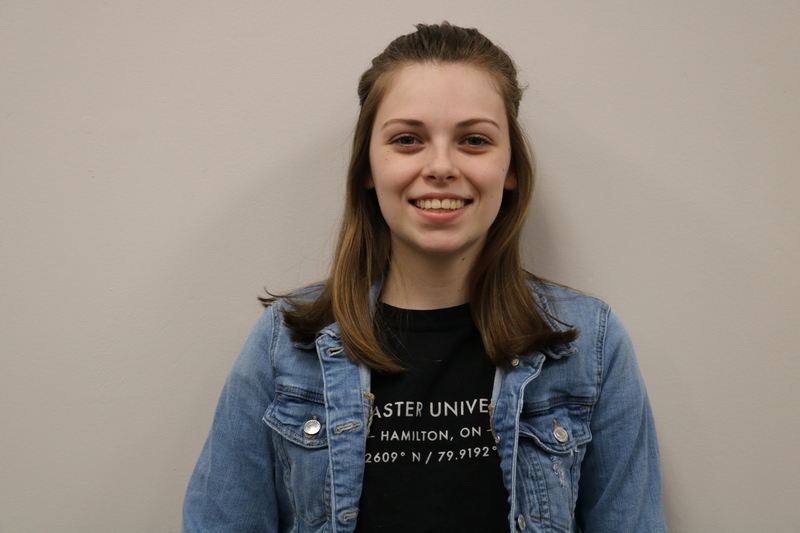 I want to be your VP Student Life because I want to help better the MES and the engineering community at large from the inside out, and I have a lot of ideas for how we can improve our society and help better communicate with and support the student population. The portfolio of the VP Student Life is very broad, and my platform points reflect the diverse nature of the position and show my passion for many areas of improvement within the MES. To start, my platform point of Promoting Student Engagement looks at gathering information about engagement within the engineering community and using that data to open a two-way dialogue between the MES and students about how the MES can help improve their student experience. My platform point on Increasing Mental Health Awareness and Support looks at ways that we can ensure we are helping students through mental health concerns, as well as starting important conversations about mental health in the community. My final platform point relates to the internal responsibilities of the VP Student Life, as I want to Investigate the Internal Organization of the MES and improve our internal operations so that we can dedicate more time and effort to improving the lives of our students. To learn more about me and my platform, and to find out how to get in touch with me, you can visit my website at tinyurl.com/lizzy2019. I am in my second year of Engineering Physics and Management. During my time as a delegate at ESSCO First Year Integration Conference 2018, and CFES Congress 2019, I have seen multiple VP Externals in action. I have spectated several general assemblies and plenary sessions, leaving with an understanding of how to leverage my position in this role to affect real change. The pillars of my platform are transparency, engagement, advocacy and making change. I will increase transparency between the MES and partner organizations to promote opportunities for students to get involved with external projects and initiatives. This includes increasing accessible methods for the MES to share updates from external partner organizations. My mission is to ensure student input is included in decisions that are made. Whether that be through drop-in sessions at Hatch to share your thoughts or through student advisory committees, your input will be heard. 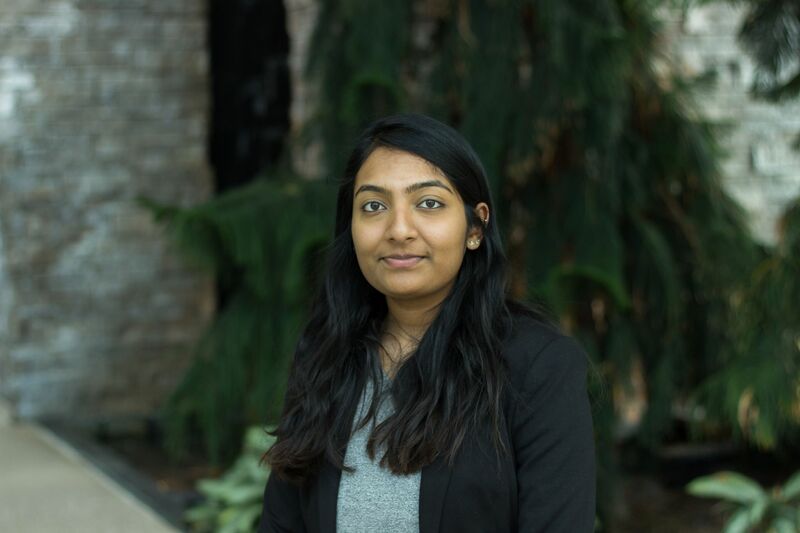 As VP External, I am the representative who will ensure the issues you face at McMaster are addressed by our external student provincial, federal and professional partners. I will re-evaluate our financial commitments to external organizations and create leadership opportunities for first year students. This will be done by supporting an on-going initiative to create a First-Year Leadership Retreat. I am also working to organize a McMaster Engineering delegation to travel to the Canadian Space Agency’s National Forum in the Fall 2019. Come talk to me to find out how TEAMwork makes the dreamwork or check out tommyforvpx.com for more details. 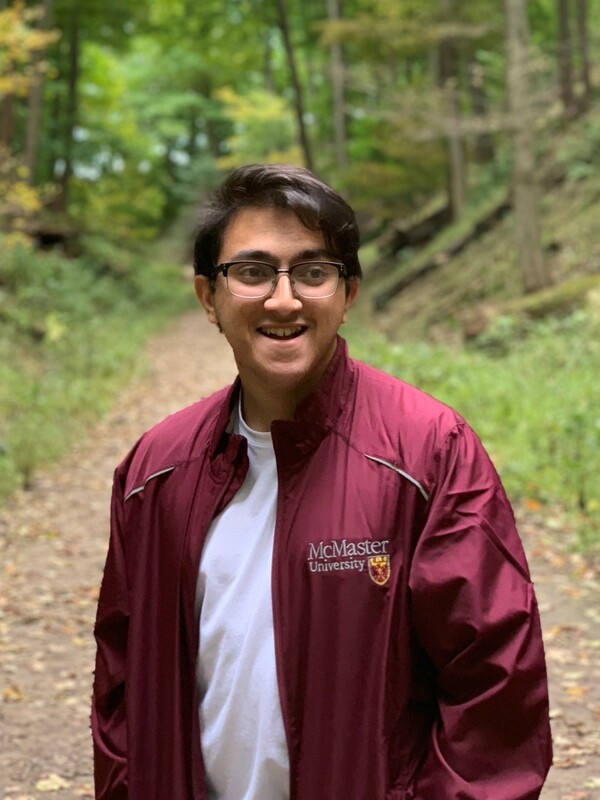 After a year working with the MES through the role of First Year Representative I have decided I would like to focus my energy in the upcoming year on assisting with the academic success of each McMaster engineering student. My main goals as AVP academic would be to further assist first years in their transition to university, provide engineers with a wide variety of resources, and help students build their education outside of the classroom. I hope to aid in first year transitions by developing an Eng1 handbook for first years to brush up on necessary skills while also getting helpful tips and tricks for surviving first year. In terms of resources, I would like to explore an academic assistance network in which students will be connected with other like students in an environment where each student can act as a tutor and a student. On top of this I will be reviewing the current state of existing resources such as the Tutoring network, and textbook library to ensure they are running optimally. Finally, to increase learning outside of the classroom I would like to work with MES affiliates to increase the awareness and abundance of hands on workshops for better understanding of helpful tools and concepts. Overall, if I were to be AVP Academic my focus would be to give students each opportunity they may need to be successful while providing the opportunity for hands on learning to compliment their studies. Hey there! For those of you who don’t know me, my name’s Terrel Marshall. 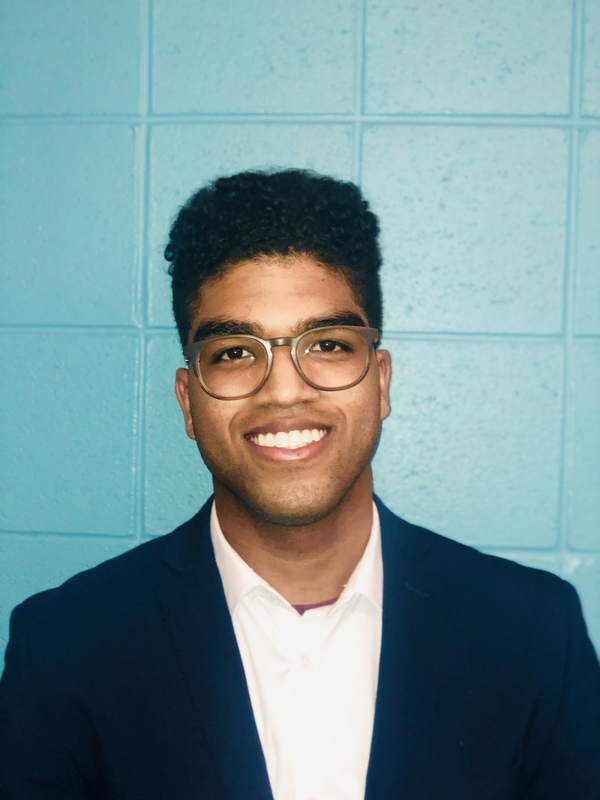 I'm the current first-year iBioMed Rep, and I’m running to serve as Associate Vice President, Academic Resources on the MES for the 2019-20 school year. This is a new AVP position that Executive Council has created to oversee all MES academic events and maintain the MES textbook library, among other responsibilities. 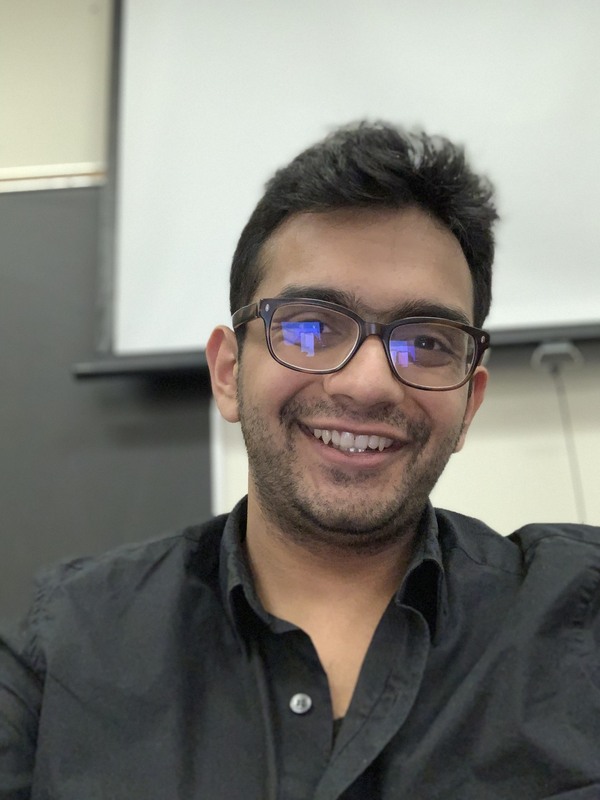 As a first-year iBioMed student, I’ve seen firsthand how much my peers all over the faculty of engineering value and rely on the academic resources available to them. As AVP, student success will be my top priority, and I will take steps to expand the scope of the MES’s academic events and increase awareness of and access to those events by our student members. Too often, especially when speaking to other first-years, I get questions like “the MES has a textbook library?” or “what’s Cookies and Cram?” Supporting our students is one of the most important things the MES does, but we need to improve the way we offer and organize our academic supports. I want to get more students involved in these improvements, first-years and upper-years alike. As the inaugural holder of the AVP AR position, I will, above all, increase the effectiveness of MES academic resources, and I will ensure that every student in the Faculty of Engineering can enjoy the accompanying benefits. Hey everyone, I'm Hawk, an Eng1 running to be AVP Clubs and Sponsorship! I'm a seasoned leader whose experience includes FRC Team Captain, MES Department Rep and Energy Week Exec among others. The main pillar of my platform is what I believe is the backbone of leadership: communication. Communication means everyone can EASILY find out what goes on as the elected official does their job, because we all know what a beehive the MES is and how hard it is to keep up. As your AVP, I will revive the MESsenger service as stipulated in the policy manual and will send AT LEAST one monthly email summarizing what the MES is doing and CONCRETE ways for you to get involved be it through new clubs, events or even focus groups for new courses/initiatives. 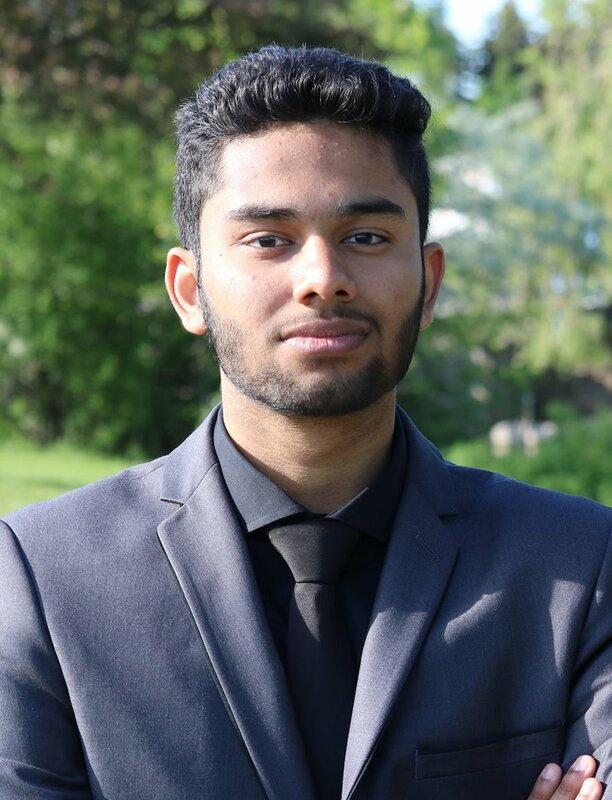 With the new changes to OSAP, the MES will likely have some financial issues next year and to help our Engineering clubs continue to thrive, I will lead the effort to make a new sponsorship guidebook for all MES clubs and provide best practices from both my experience (FRC kids, y'all know what's up..) and those of MES club leaders. Finally, the MES card is not exactly the most useful card around. Communication flows both ways and I will push for an easy website feature for you to suggest popular local businesses to attempt discounts with. Because, at the end of the day, you, the people know best what you want and I just facilitate it! Hello! 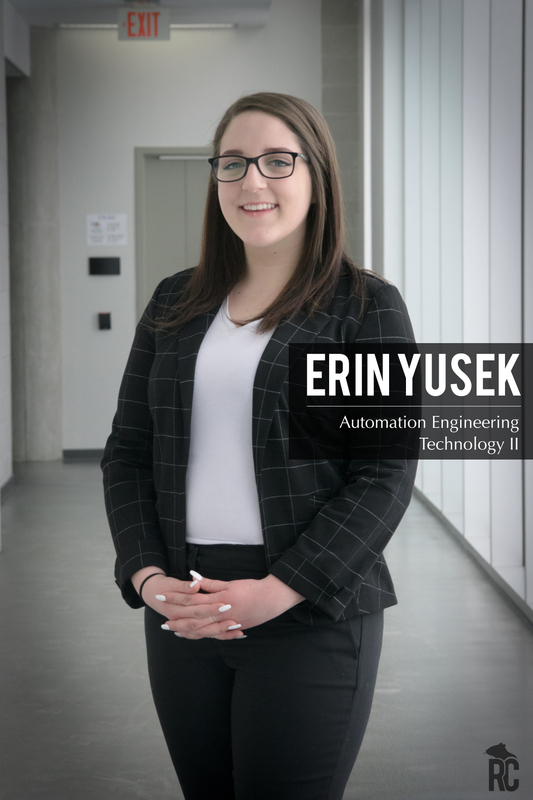 My name is Erin Yusek and I’m a second year Automation Engineering Technology student. 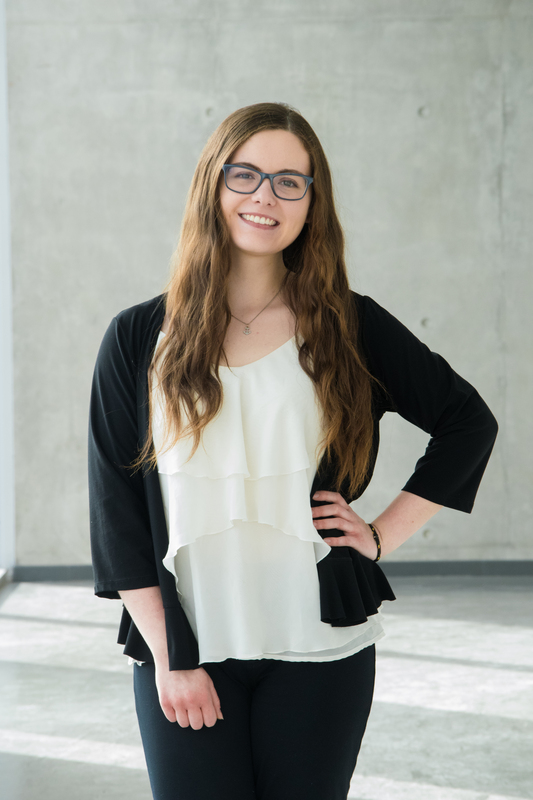 I am passionate about the student experience in McMaster Engineering, so I am running for the position of AVP Events. If elected, I will collaborate with the MES Wellness Committee to organize sober events that run concurrently to Engineering Pubs. Different students have different relationships with alcohol, so this parallel programming will make these social nights more inclusive and accessible by a larger body of students. I will also work with various parties to release event dates earlier. Many students have prior commitments such as jobs or extracurricular work that can only be rescheduled with ample notice. I plan to release a calender of tentative dates for social events and work towards their finalization and release as soon as possible. In addition, I would like to start ticket sales at an earlier date than the beginning of the week of the event. While it makes for a competitive sales period, students with busy schedules may find it difficult to come to Le Drain (Located in Gerald Hatch Centre) and purchase their tickets in time. I believe these changes will greatly benefit fellow students and make future events more accessible. Utilizing the Social Events Committee, I will strive to plan memorable and enjoyable events. If you have any questions or concerns do not hesitate to contact me by email at yuseke@mcmaster.ca. Thank you for taking time to read my platform! Hi I’m Mackenzie Van Vliet and I am running for AVP Events in upcoming MES Election. If I were elected as AVP Events I would continue to run Pub Nights, Road Trips and all of MES’ other events as smoothly as they have been run in previous years. My main priority, after organizing these events, would be providing proper communication and advertisement of them to all those apart of the MES so everyone in the community knows what’s going on and can join in on the fun. In addition, I would love to introduce more parallel events (i.e Movie Night, Game Night) alongside our monthly Pub Nights/19+ Events so people who do not feel comfortable going out and those who cannot go out have options to have a good time with the community and don’t feel excluded. I would also like to introduce Pub Night presales for MES members only so all MES members have a fair chance of buying their tickets before tickets are open to all faculties and sell out. Lastly, as many of these events involve BEvERages, I would make safety and inclusivity a top priority to ensure all those who go out feel safe, comfortable and welcomed in our the MES family. If you have any questions about my campaign shoot me a message on Facebook (Mackenzie Van Vliet for AVP Events) or stop me and ask me in person next time you see me around campus. 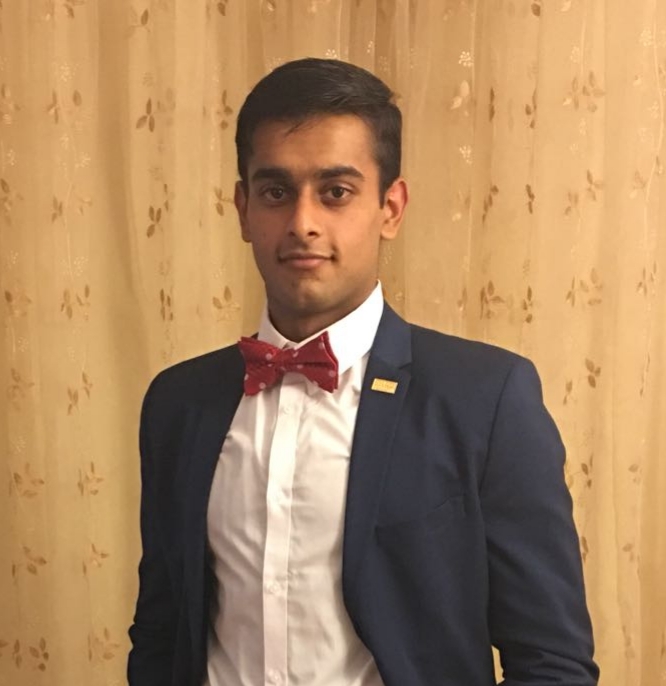 As the first year Engineering 1 rep, I set out to make sure that the year was more enjoyable for first years and provided the base for growth as a community and individuals. I helped plan and run events that allowed engineering students to meet each other in non-academic environments to truly strengthen relationships and help everyone relax after stressful weeks of studying. If elected as the Associate Vice President of Events, I will focus on developing events that target individuals that may not enjoy the super high energy events such as pub nights and provide them with an alternative that is just as enjoyable. I have also noticed that there are often low turnouts to certain events held on campus and will work towards organizing appropriate dates and times to run events, to inconvenience the least amount of people possible. Through discussion with other individuals, I have learnt that communication of events is not efficient and does not inform others in a timely or effective manner. I will work with the advertising committee to look for solutions such as creating video montages instead of just posters to promote events. I will also make sure too communicate what YOU will get from every event that is held. I have gained a lot of knowledge about the MES through my first year on council and believe that I will be able to bring a lot of value to YOU through organizing all of the fun events for you next year!! Hello ALL! Thank you for taking the time to read my campaign blurb…So, here's what I intend to accomplish if you were to elect me as AVP Services and Production: • Start a google form to anonymously share feedbacks, thoughts and complains regarding any services provided by the MES. • Replace the charging station in the lounge. • Regularise publications of The Plumbline, essentially making them less erratic. • Work with Hatch Coordinator to advocate for installing Accessibility access for the lounge and if possible, other rooms in Hatch. • If feasible, have the drain open during major interschool engineering events and conferences, like the ESSCO Annual General Meeting. I do spend most of my time at the Hatch Centre, so do feel free to pop by and chat! 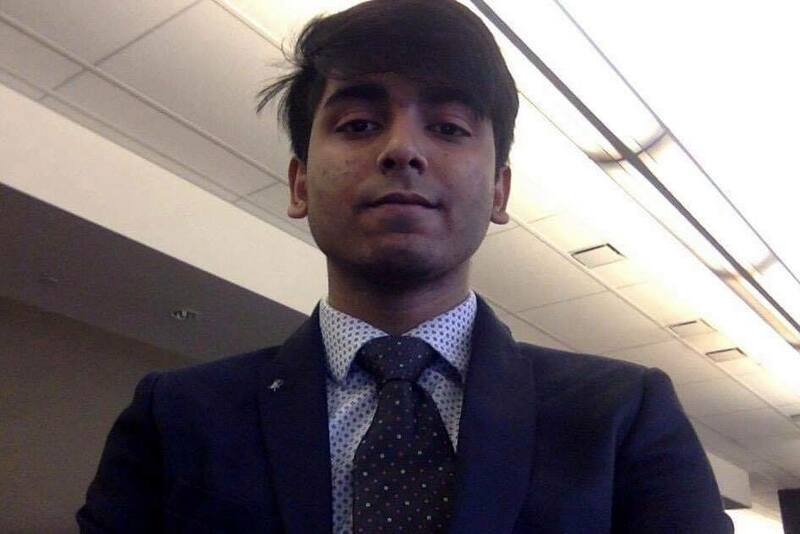 Saad Baig is a Vision orientated individual aiming to drive for a more efficient MES. His experiences giving TEDx talks, organizing and running design teams and sports teams, as well as his national achievements in Innovation and Entrepreneurship allow him to be a diverse and prime candidate for the AVP Services and Production role. 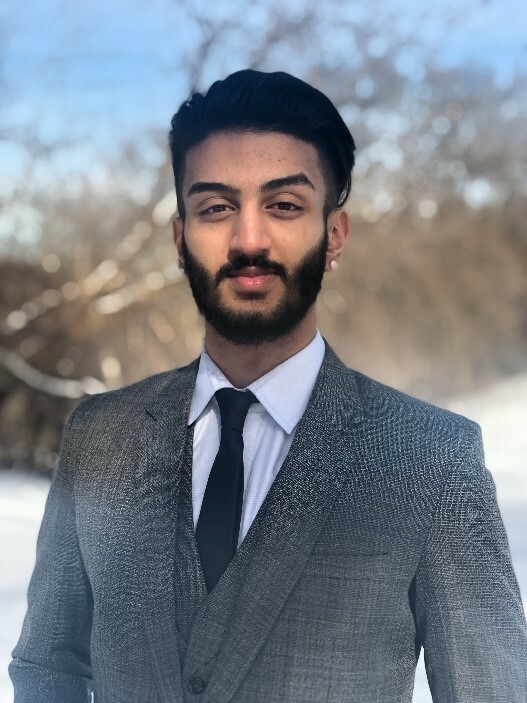 My name is Samee Syed, I am currently in the first year of B.Tech for Automotive Engineering and I am running for the position of Associate Vice President of Services and Production. Before attending university, I was an active member of my high school’s student council where I strived to bring organisation and school spirit to my school. To accomplish this, I honed my skills that permitted me to be able to prioritize important tasks, paying attention to student needs and wants, and using my position to make those changes happen. 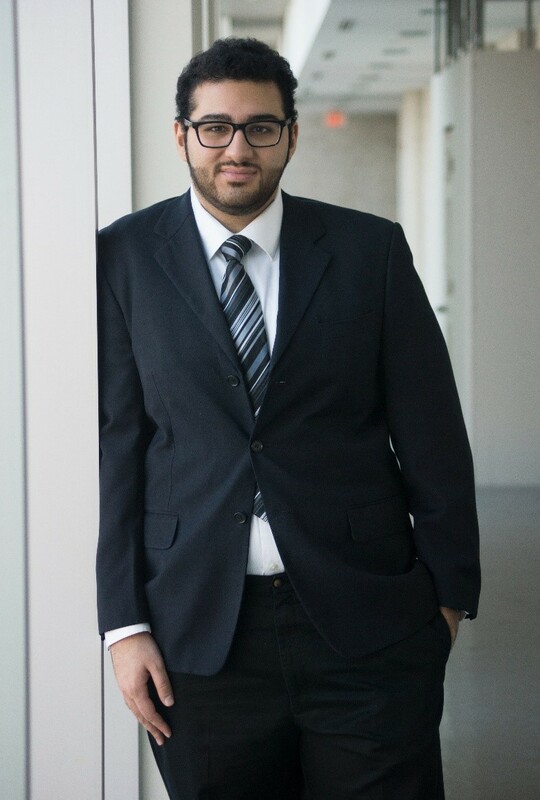 As I begin the next chapter of my life, I want to be able to work in a council such as the McMaster Engineering Society as, once again, this will allow me to work for the benefit of the students. My platform focuses on working towards making MES cards more accessible and well known, as well as work with the AVP of Clubs and Sponsorships to bring in discounts and other benefits from more places. I will also work towards digitizing publications, for example, creating an app for the engineering handbook. Such an accessible, digitalized handbook would be extremely important to first years since it would include all the benefits of the physical handbook, such as coupons, engineering traditions, and an agenda, but in the form of an app. I have many more plans for the McMaster Engineering Society with this position, but to put them in action, I need your support. 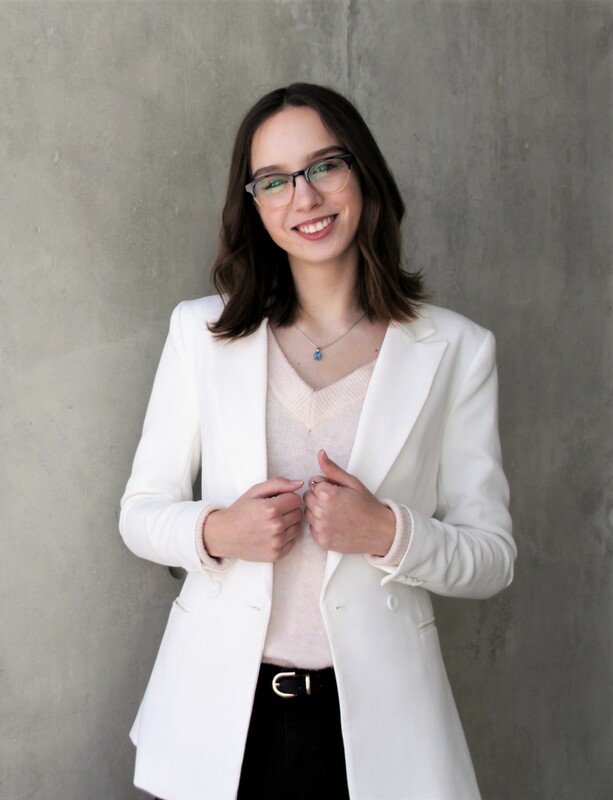 I'm Yovana Racic and I'm currently in Chemical Engineering and Management II and I want to be your next AVP Services and Productions. I believe that I can make a change through this position that will improve your experiences while at McMaster. I intend to do that by the following: • Have online versions of the publications that are offered through the MES. This will make our publications more accessible to those who aren't able to get ahold of the physical copies, as well as promoting sustainability through reduced paper consumption. • Fix the Phone Charging Stand in the DW Lounge, and regularly update it with upcoming events and promotions. This will increase student awareness of events, MES services, and important dates. • Work closely with The Drain Coordinators to continue expanding the products and services offered to the student body. • Increase awareness of the publications and services offered through the MES and encourage student involvement and engagement. I look forward to be given the opportunity to be given the chance to make a positive impact on student body as AVP Services and Productions. Hi there! My name is Daulet Jailaubekov, I am on my second year in Chem Eng and I am running for the position of Chem Eng department representative. If talking about myself, I am very passionate about Chemical Engineering and would like to contribute to our department’s life. One of the main responsibilities of Chem Eng department representative is to act as the liaison between MES and Chem Eng club as well as the students represented by this club. I am sure that I will be able to handle this responsible task and work hard for you as hard as I can. Also, I would like to increase the interest in Chemical Engineering by representing our department in MES. A little bit about myself and the position I am applying for, my interests range from sports like soccer and volleyball to anime and tv shows. On the programming side, I enjoy coding in Python and C# (mainly because they are easy to implement). Most of all, I love and enjoy helping anyone out, provided I have the means to do so. If elected, I will be in a position that will allow me to work with you to help make our program better. Some of the key areas I am hoping to improve are increasing awareness about the resources that are available to you and help you learn a little bit about software engineering outside of school through workshops. I also want to popularize software related clubs and get more funding for these clubs so that students can have much more freedom when expressing their ideas related to Software. As representative of the Department of Materials Science and Engineering on the MES, I aim to ensure that our department does not get overlooked when decisions and plans are made that will impact the members of our department. Additionally, I want to work with the MES to generate interest surrounding Materials Engineering and make sure that incoming students are aware of all that the Department of Materials Science and Engineering has to offer. During my time on the Materials Engineering Council I have been working on the 1M03 Help Program and hope to continue it next year and make it even better. 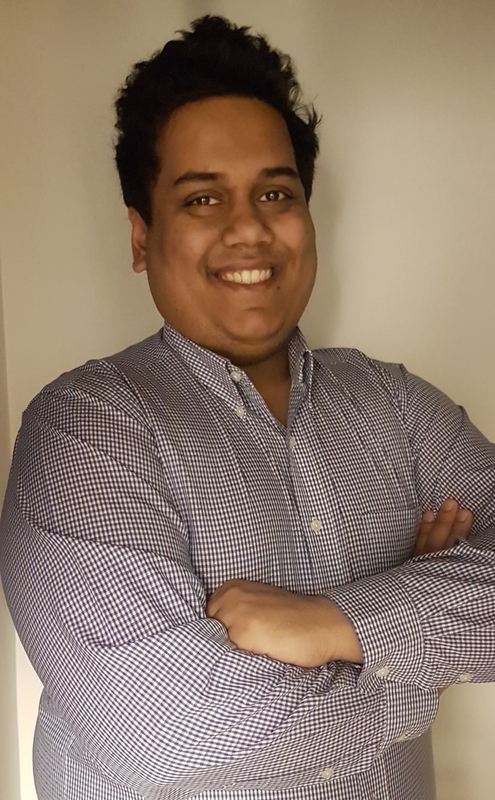 Furthermore, I want to represent the wants and needs of my peers by working with the MES to resolve any issues within both the department and the faculty regarding academics, funding for clubs and teams, and resources to help McMaster Engineering students be successful and get the most out of their education. I also hope to facilitate events that will be relevant and positively affect students within the department while still maintaining interconnectedness with other departments. Hey Mac Eng! 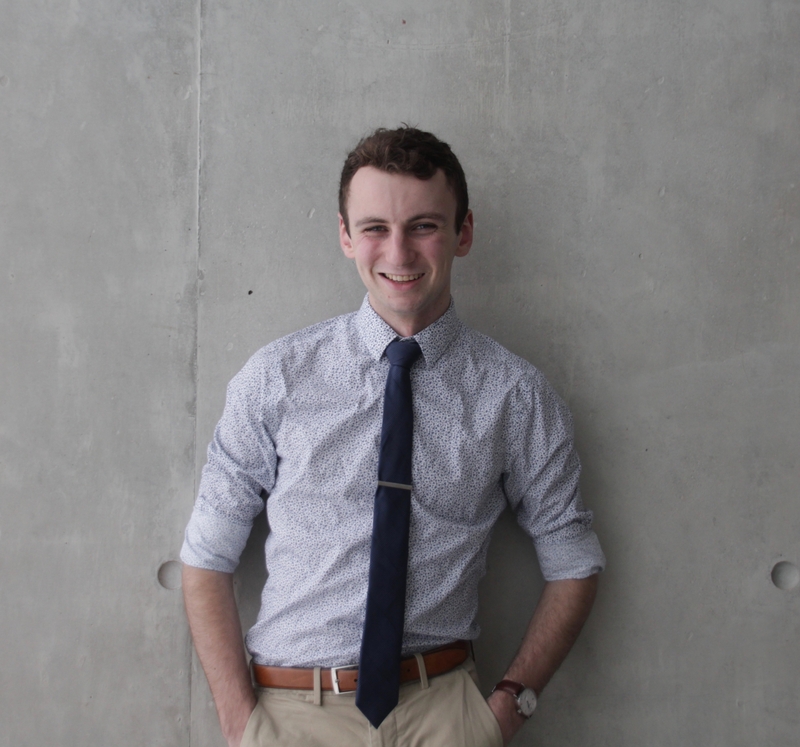 My name is Daniel Wise, and I am running for the MES Mechatronics Rep position. I am currently in second year, and serve as the Mechatronics Society Second Year Rep! If elected I hope to increase student awareness of Mechatronics events and merchandise, and improve social media presence. I will also try to bring the Mechatronics community together more and facilitate relationships between students from different years. Thank you for your consideration! Hello my fellow peers, colleagues, friends, I’m Fadia Cruz and I am running as your Engineering Physics Rep! I’ll be going into 3rd year iBio Eng Phys and I hope that you elect me to represent you in the coming year. As someone who has developed leadership skills and has had the opportunity to be a representative for a student body and community in the past, I have the skills needed for this role. I would be more than happy to act as a liaison between Eng Phys Society and MES for you. Hello pals! I'm Marina Manoraj, a 3rd year Chemical and Bioengineering student. As a current exec member of BEAMS (the society), I hope to be the bridge between what our society provides to the students and the MES. 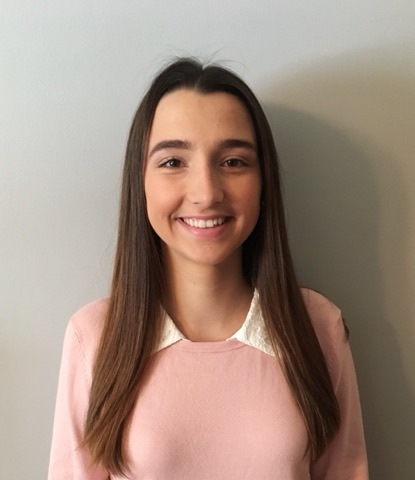 I will represent students in bioengineering/biomedical students and help facilitate strong relationships with the iBiomed program for smoother transitions throughout the year. Additionally, I want to ensure that although some programs are being phased out in the next coming years (elecbio), other programs are still represented and heard (chembio). By receiving funding for this program, I will make sure events are run to cater to academic growth, industry/job help, and postgraduate options to ultimately assist our program for their future! Hello friends! I would love to have the opportunity to represent iBioMed on the MES, where I will work hard to ensure all of your voices/concerns are heard, secure the much needed funding used for social events, and make sure all MES opportunities are made aware to our student body. I will work hard with the MES to maintain an inclusive and welcoming environment for incoming and current students alike. Thank you! 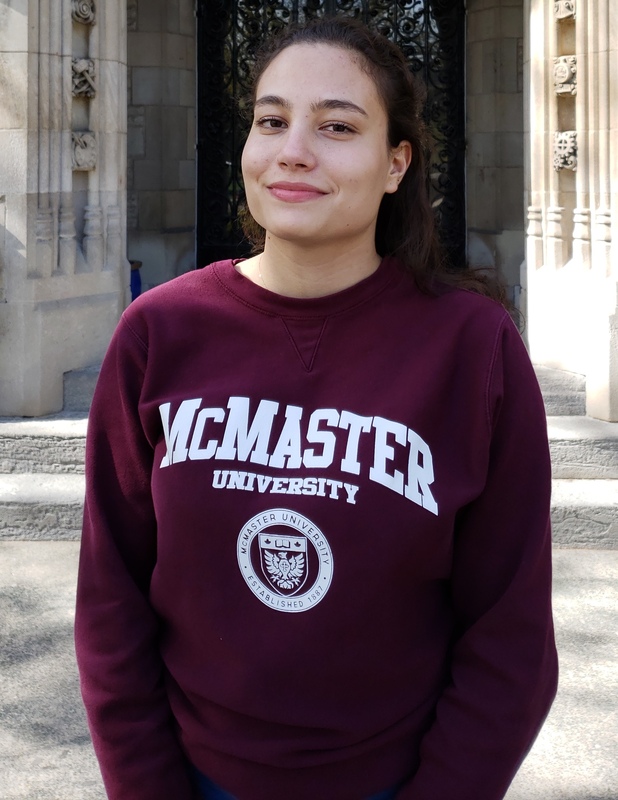 Computer Science is one of the smallest programs at McMaster, and while this is one of the things about our program that make it so special, it also brings along with it some challenges. Within the MES, a small program such as ours may tend to get overlooked at times. For example, we lack the same depth of academic resources and support that our fellow engineers may have. As Computer Science Representative, I will work hard to change this so that computer science students have equal resources and opportunities to other engineers. Something else I’ve noticed is the disconnect between Computer Science and the other engineering programs within the MES. I want to fix this by collaborating with the software engineering program, as well as other engineering programs of interest, to help bring more inclusive events that can bring us closer to our fellow engineers. Just because we’re a small program doesn’t mean we have to be alone. 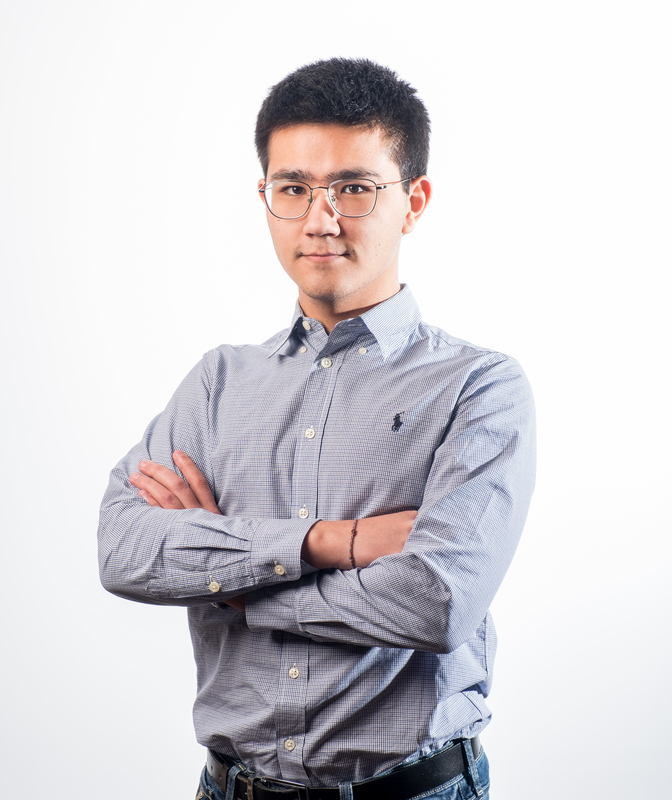 As your Computer Science Representative, I hope to fix some of the shortcomings we have due to our size and help foster a stronger connection between our program and other engineering programs, while strengthening our unique sense of community amongst ourselves. To live as part of the society we dream of, we first need to go out and create it. Well look at you, reading about MES politics, you’re already on your way! My name is Dziugas Nausedas, and I am currently seeking the elected position of Engineering & Society Program Representative. The McMaster Engineering Society, with whom I would work, has been helping students since 1959. However, times are changing, and there are many things to improve. I am myself currently studying my second year of Electrical Engineering & Society, and yet in my time at McMaster, department and program representatives have never really engaged me. Even as a second year representative for the Engineering & Society Students Association, I found that my role ultimately boiled down to announcing events to my class every week. How are we meant to represent a student body that we ultimately only engage with during the election season once a year? As the Society Program Representative, I would hope to work with the MES Executive and all the other Department and Program Representatives to create and outreach event. Where all students are invited to talk to those that represent them. To discuss issues or concerns. To learn more about what their program and their society can do for them. To put a face to the title of Representative. If you have any questions or concerns, or just want to learn some interesting facts, find me on Facebook or email me at nausedad@mcmaster.ca.